Hi everyone, how’s it going?? Today I have one of my favourite purchases of 2012! I had heard so many bloggers and youtubers rant and rave about this trio in the drugstore but I always over looked it but around November 2012 I decided to give this bad boy a try and I have to say, I am beyond impressed! These shadows are so rich in pigmentation and are so affordable that I honestly believe it should be in every woman’s makeup collection. 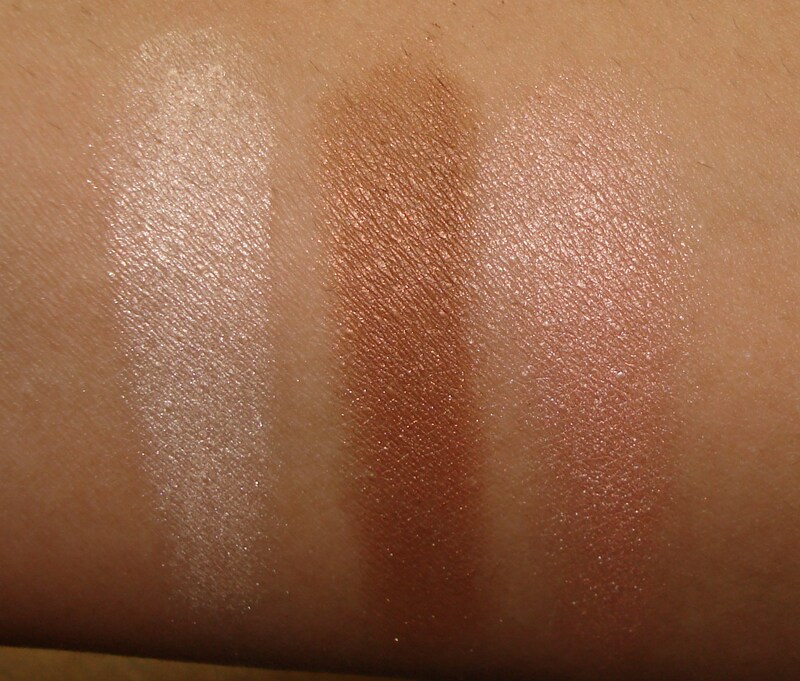 After comparing it with MAC shadows – as many have told me and I have read on several blogs that they are ALL MAC eyeshadow dupes. From my own collection I believe the ‘eyelid’ colour is VERY similar to MAC All that glitters eyeshadow which is popular shade – I believe the ‘crease’ colour is similar to MAC Bronze, I don’t have it but from online photos they do look similar and the ‘browbone’ shadow is a dupe of MAC Shroom or a limited edition eyeshadow called Femme Fi. 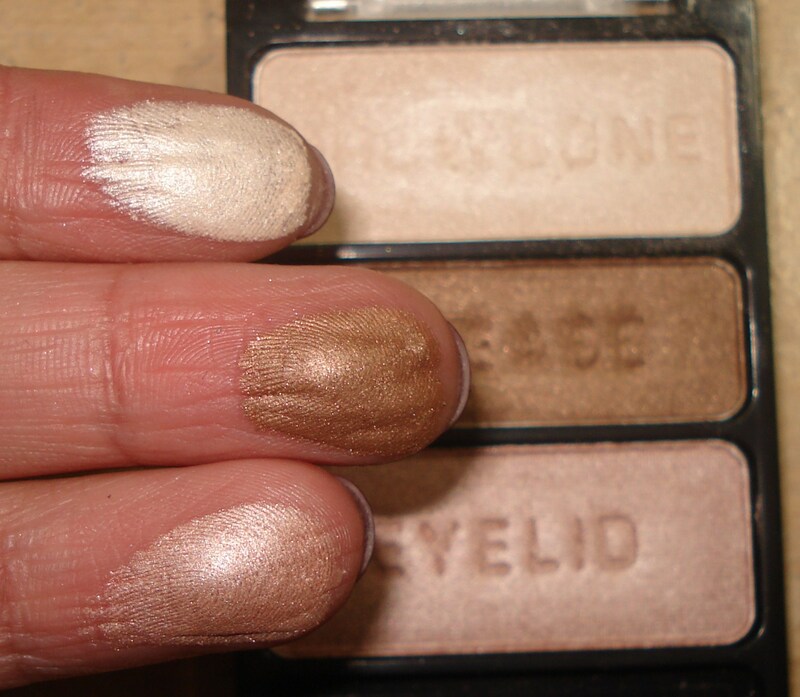 As you can see from the swatches on my fingers – they are very pigmented and shimmery – you can definitely use these together for an eye look but I prefer to add in a matte shade in the crease to blend out the ‘bronze’ colour but this trio definitely one that you can wear as an everyday look! I must add that you do have to tap your brush to get the excess off to avoid fall out underneath your eyes. And as you can see the colour pay off is seriously amazing! I can already tell you that the ‘crease’ shade is definitely one I will be wearing every day in the summer to enhance a bronze/tan look! I highly recommend this palette – you will use it everyday and it makes the perfect little travel palette for vacations. 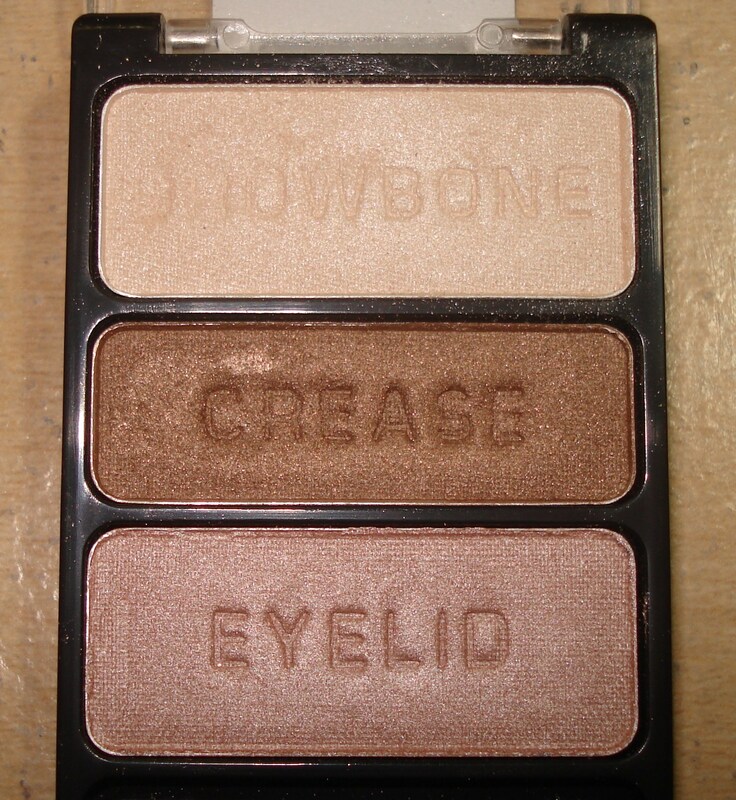 Do you own WetnWild `Walking on Eggshells` palette? What are your thoughts on these eyeshadow? I love this palette and use it all the time! i feel so far behind lol seriously i am so bewildered why i overlooked this product for so long. I love it! i feel the same way Holly – i kinda avoided them for the same reason but this one is actually really really good. Last week I wore just the bronze shade with a matte brown in the crease and I was literally in LOVE with it!!! and i like that it’s cheap, available and affordable. Plus ALL these colours would look amazing on your skin tone! i really like the highlight one as well – its such a good deal. Seriously amazing little palette 🙂 one of my fav’s when im traveling.